It is still about three months till mousing season will begin again in earnest. At least here in Montana, where the lakes remain frozen over and in the hands of the ice fishermen. My yard has been covered with snow since well before Christmas. 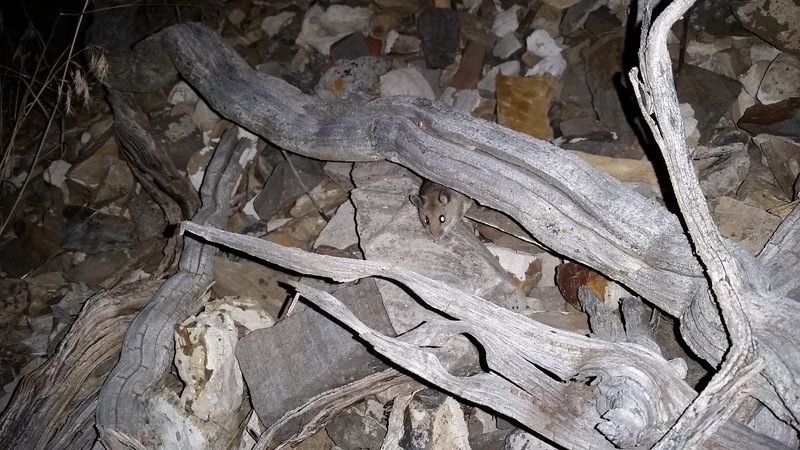 But every time I see a field mouse dash across the road in my headlights or find their tracks around the house in fresh powder I am transported back to July in my mind. There are those hits that leave you aching for a second chance. Those hookups that never get landed and fuel your imagination in the off season of what next year will bring. And "next year" is now closer than "last year." Then there are those hookups where the "big" one doesn't get away. Several weeks ago now I was driving down a dirt two-track road in the dark after a late season deer hunt. A storm was coming. Although the weather was calm and eerily still right then - and golden sunlight had just finished bathing the sagebrush-covered landscape in setting sun like a summer post card - it was December and snow would soon be falling. That night in fact. Mice were everywhere it seemed. Scurrying and bustling in preparation. Shooting across the tire ruts in the headlights. They appeared to know that this could be the end - the last chance to get around from bush to bush without tunnels under the snow until spring thaw. The fact that snow wasn't already piled over them was just good fortune on their part. Of course I instantly thought of trout sucking them down - imagining a big whoosh of white foam when one swam out into the stream...... well, ran across the jeep trail. They were all standard field mice. I'd spotted about half a dozen of them in the last mile when suddenly I saw a whopper. It was a kangaroo rat. 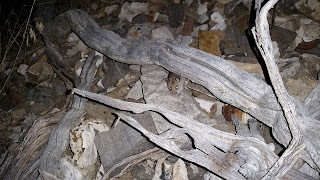 Twice the size of the other mice I was seeing, with a super long tail. A very defined tuft was at the end. It was in no hurry to escape the headlights but evaded me when I got out to take a picture. My first thought was "Man! I need to fish mice with longer tails!" And then I began to imagine the monster brown that would eat this giant. I chuckled because I figured it probably didn't matter - it'd get smacked by a 14-incher. Which reminded me of a hot July night that'd I'd been fooled. It was 2 a.m. - my magic hour it seems. I was on the line of rocks I'd been working to get to all night - laboring to time my arrival for this hour. Everything was right. Foam was swirling in the eddies that I was itching to cast to. Indirect moonlight vaguely showed where rock ended and water began. I didn't waste time working the so-so water. I went right for the good stuff. Almost immediately I had a great take on the mouse and was instantly into a running fish. Running hard and fast. No slowing. 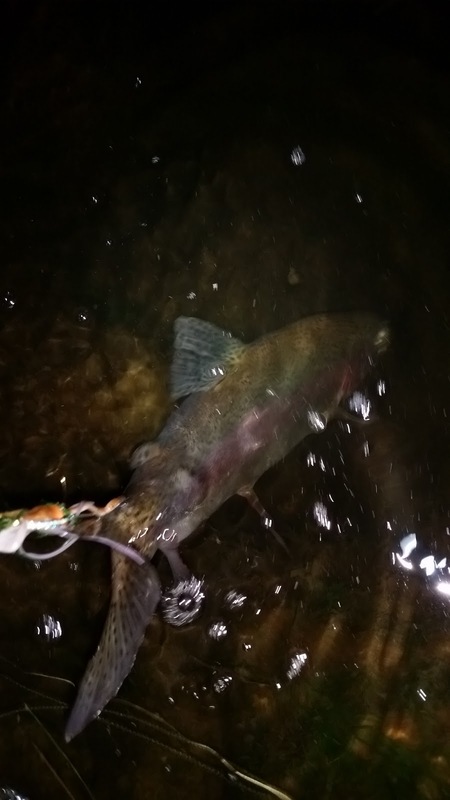 It was like a drag-burner of a steelhead run. For the first time ever I was into backing before I had even begun to chase. "That didn't take long," I smirked, perhaps a little overly confident about what I'd just hooked into. I had been catching some beastly browns, and this was one of my hot spots. I didn't even consider that it could be anything else. I knew there were some troublesome rocks down below, so I got moving. 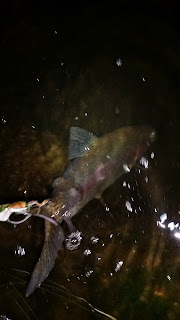 I needed to regain my fly line and get abreast of this fish to even have a chance to steer it to my side of the rocks. But I was too late. 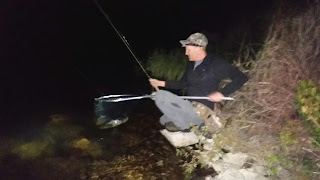 The fish went around a boulder the size of a dump truck and camped out on the opposite side from me, probably 35 yards away across deep and swift water. It just seemed to hunker against the boulder. For 20 minutes I could only wait. I even sat down. The fish was there. I could feel it move. Sometimes I gained a couple cranks of line, sometimes he took it back. But we got nowhere. Mostly my line was just hung up in a broad sweeping bend under the weight of the flowing water, making my connection a little too indirect to have much affect. I envisioned the broad-shouldered, overly thick mega brown just hanging effortlessly in the current, biding his time in the slack water behind the boulder till he decided to shred my leader and move on. It was just a cookie cutter rainbow hooked by the tail! Solid fish, but well under expectation. Not even an average consolation brown. I was deflated. But smarter. In hind sight there'd been nothing but an unstoppable run - no tell-tale head shakes, no tail-slaps on the surface, no jumping. None of the signature moves that provide the usual parts to the fish-judging equation. I had to laugh, but it was definitely a lesson in things not always being what they seem. If that fish had sawed me off on the boulder, I would have gone home convinced that I had tangled with the very caliber of trophy brown I had come to the river in search of. Probably the sort of thing more than half the best fish stories are born from. essarily, sacrificed to the cause.